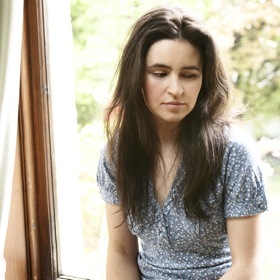 EMMA POLLOCK is a singer, songwriter, guitarist and founding member of The Delgados, one of the most interesting and influential bands to emerge from the mid-90s Glasgow music scene. One of the most bewitching singers and natural songwriters around, Emma released her debut solo album Watch The Fireworks on 4AD in 2007 and has a new release scheduled for early next year, which promises to be "a thing of dark, eclectic beauty." As well as keeping busy with Chemikal Underground duties she is a member of the cross-genre musical collective The Burns Unit, who also counts Karine Polwart, King Creosote and Future Pilot AKA among its members.